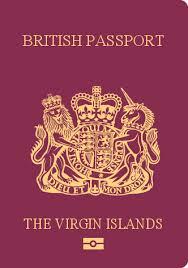 The Virgin Islands now has a new application form for the processing of the British Overseas Territories Passport. Effective today, June 1, applicants will be required to complete a ‘British Overseas Territory (BOT) Passport Application’ form rather than the current C1/C2 form. The introduction of the new form is mandatory and in compliance with Her Majesty’s Passport Office’s application system requirements. The form was created for use on the new passport system called Passport Reach. This system will be used for transmitting the data to the United Kingdom (UK). Also with immediate effect, the Civil Registry & Passport Office will be unable to accept and process applications submitted on the C1/C2 forms. Copies of the new form are available at all three branches of the Civil Registry and Passport Office and residents are encouraged to familiarise themselves with the form. Earlier this year, the Civil Registry and Passport Office announced that in July 2015, the processing of the BOTC passport will be centralised and the passports will be printed in the United Kingdom. Her Majesty’s Passport Office introduced new passport styles containing more sophisticated security features which are required to meet international quality and security standards. Customers are advised to submit their applications well in advance of any planned travel dates as the process can take up to four weeks. Persons can apply for passports up to nine months before they expire. Application forms for the BOT passport will still be submitted to the Civil Registry & Passport Office on behalf of His Excellency the Governor. The Virgin Islands along with other Overseas Territories have retained their status as a passport issuing authority. Courier charges will be included in the cost of the passport. Customers will be notified by the Civil Registry & Passport Office, once the passport has arrived for collection. The process for local emergency travel documents will be changed slightly. The Civil Registry & Passport Office will continue to issue single page emergency travel documents to non-BOT citizens. In addition, one year validity emergency passports will be issued to BOT citizens only on compassionate grounds or for urgent government business to eligible persons. The usual fees will apply for expedited service. The Civil Registry & Passport Office will continue to keep the public informed of further changes. For more information, persons may visit the Civil Registry & Passport Office located on the ground floor of the Central Administration Building, the second floor of the Burhym Electric Building or at the Vanterpool Building on Virgin Gorda. Persons may also telephone the department at (284) 468-3035/3038/3441.